The street vendor said this and moved on. Like most men, he liked to have the last word. He was selling small flags to the people of Salvador who were celebrating Bahia Independence Day. I sat amongst them and drank a cold beer very slowly. I let the vendor make his point and watched him disappear. Call it age and an antipathy to my own country. Also, Brazilian sunshine makes a difference. And, I actually agreed with him. But that was nearly 4 years ago and now FIFA has published its international rankings. Brazil appears no higher than 18th. Even the Hodgson stodge that calls itself England makes the top ten. massaging. Some infrastructure projects will be cut, and the government accountants will be bringing forward dividends from state owned firms and raiding the sovereign wealth fund. ‘The Economist’ reports all this with glee but somebody needs to mention that Osborne who they have relentlessly championed is scheduled to fail to achieve any growth. The phrase, triple dip recession, has become commonplace in the UK. Nor should we forget how Osborne has fiddled Treasury accounts with mobile line sales. Not to achieve a fiscal surplus, the best he could do was to mitigate the fiscal deficit. But economists are like football fans. Nobody is really interested in actual facts. Brazil has a left of centre government and the neo-conservatives cannot wait for it to fail. Few are willing to concede that its recent sustained economic growth and health has corresponded with the election of left wing governments. Admittedly, some have been more successful than others but all have presided over economic progress and all have ameliorated to some extent the suffering of the poor. Again, this has been achieved with varying degrees of success. No football fan, though, no matter what they think, can argue with the final result and the decision of the referee. ‘The Economist’ quotes the anonymous opinion it so loves. Experts are predicting low growth and inflation. These experts, whoever they are, say that in 2013 Brazil will have 1% growth and 6% inflation. In 2012, prices rose by 5.84%. This is close to the 6.5% ceiling set by the Government but within the target. Since when has ‘Economist’ darling George hit one of his targets? 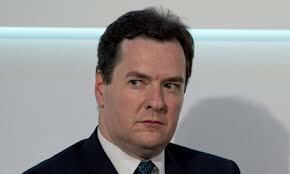 So far, all of his growth targets have been subsequently downgraded and UK inflation has also exceeded his prediction. The performance of the Brazilian economy not only exceeds the UK but Europe. ‘That’s more like it’, if it could not smell a social democratic rat somewhere. Brazil is not competitive, it proclaims. The cities only have 4.9% unemployment. And there you have the neo-conservative utopian dream. Forget the notion of wealth trickling down. Only with high unemployment can an economy be efficient. We have to ignore those leftie softies who want people to have jobs, they say. These supply side economists will be the death of us, says this softie. No matter that they like to congratulate themselves for introducing it, somebody tell them that permanent high unemployment is not an efficient distribution of resources. Unemployment means idle and discontented people. It also means forfeited economic demand but ‘The Economist’ and its kind will never understand that Keynesian truth. The magazine anticipates gleefully a decline in investment in Brazil from China because the Chinese economy is also experiencing reduced growth. Odd, how neo-conservatives appreciate the impact of reduced demand on Chinese output but struggle to relate aggregate demand to the success of Western economies. Neither should they assume that anybody outside China understands how overseas investment relates to growth in the Chinese economy. This is State Capitalism and the model is beyond the understanding of most of us. Yet the nervous systems of neo-conservatives can be unpredictable. ‘The Economist’ has printed a very fair article on Bolivia. Morales is now happily nationalizing everything in sight. This would normally warrant the ‘Chavez treatment’ whose repeated electoral successes have, like climate change, dumbfounded the UK media. ‘The Economist’ admits that some of the new nationalized industries have actually outperformed the private sector predecessors although it notes that subsidies exist so it is hardly a fair fight. But the goals of Morales are acknowledged. This is a President that understands that there are basic needs beyond what the market dictates. 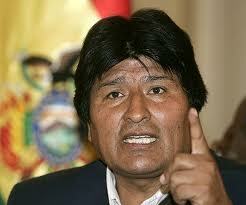 The Bolivian people are entitled to water, electricity, oil and, wait for it, telephones. If this is beyond the private sector in a third world country, bring on the nationalization, says ‘The Economist’. Well, not quite. I just got carried away a little. Meanwhile, living standards in Brazil are rising. And 2012 has been a difficult year. The record sugar crop has exceeded worldwide demand, which is falling. I am not sure how diminishing demand for sugar equates with rising obesity levels but there we are. Perhaps those imaginative statisticians at ‘The Economist’ might help. Not only has the price of sugar fallen by 16%, there is unsold sugar stacked on Brazilian docksides and, if my memories are accurate, these docksides were already quite crowded. The Brazilians also experienced a severe drought that threatened the ability of the hydropower plants to produce electricity. So it is far from certain that Brazil will experience an equally unpleasant 2013. Instead of anticipating gloom, I think we should wish for a fair wind so that they can prosper. the wings. The Brazilian Army, which actually controls law enforcement in all the states, has recently authorized law enforcement officers to carry heavy caliber weapons for personal use. This means to use for their protection. Several cities have recently experienced an increase in violent crime. Some of these additional crimes have been committed by off–duty police officers. I hate to be critical of the police, and everybody likes to let off steam, but this cannot help what is already a difficult situation. Still, at least nobody is preparing for a military coup, maybe after the World Cup if the sugar continues to be unsold and electricity is starved of water. Again, in the complicated mix that is Brazil we always have to be wary of numbers and judgements. 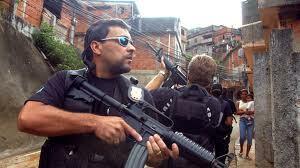 The police have had some success in the favelas. A hard line against drugs, that sounds like an unintended pun, and the recent increase in the standard of living have changed the complexion of these alternative suburbs. Tourists and foreigners are not only visiting the much safer favelas. Some have actually decided to live there. Rents in the favelas are increasing and the locals, just like in the Lake District, are complaining about housing scarcity. It is not difficult to imagine the people at ‘The Economist’ talking to each other. ‘Told you, this is what happens when you have only 4.9% unemployed.’ Still, do not be surprised if the next World Cup is won by the 18th best team in the world. If you want to read the original novel of Frankenstein plus comment click here. Brilliant, Howard does it yet again. I will echo the previous comment in saying that this is a brilliant post. It is shocking about Brazil being the 18th best football team in the world. The word ‘WHAT? !’ comes to mind. Anyway, that is amazing with how Brazil and it’s economy is failing a bit. As you well said, the World Cup will certainly help this problem. Thank you again for a fantastic read.